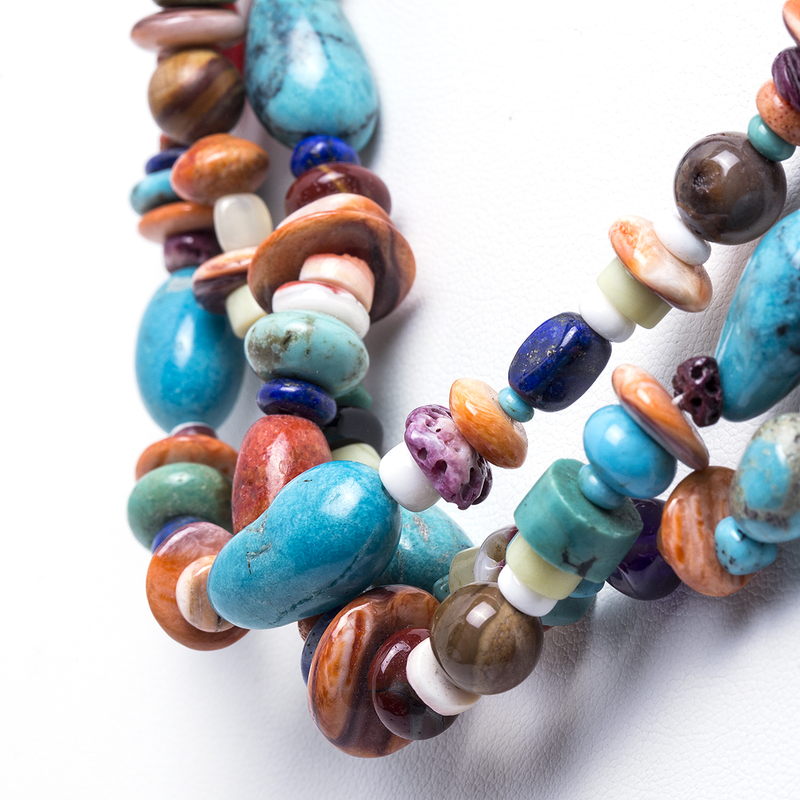 All the beautiful colors of the Southwestern landscape are combined into one lovely necklace! Showcasing a splash of natural warm tones highlighted with rich turquoise, this necklace is a beautiful piece to add to any Native American or boho collection you have! 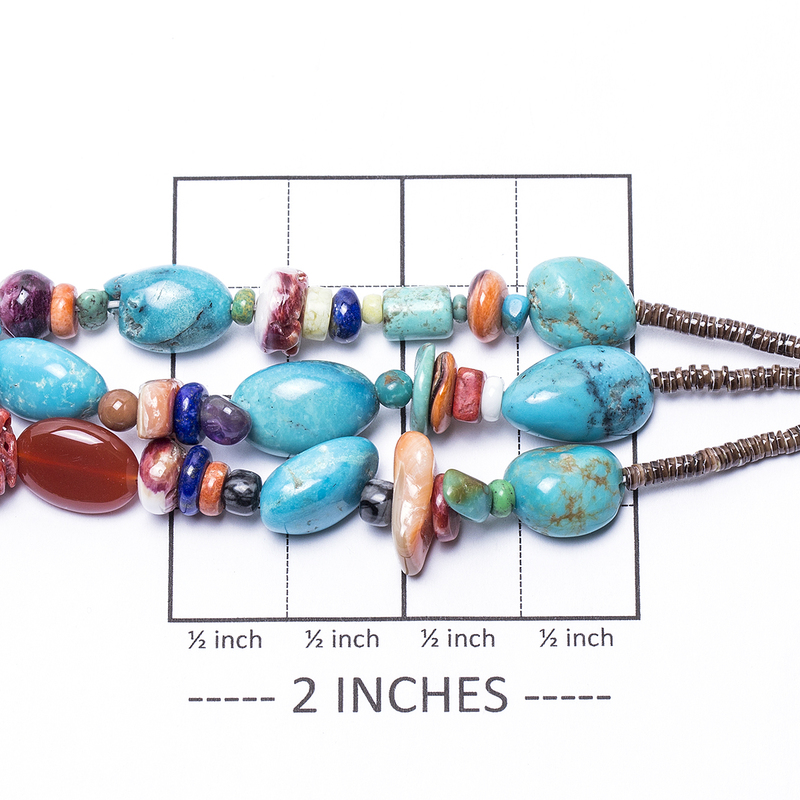 Navajo Southwestern Style Necklace measures 33″ long with a 1 1/2″ attached sterling chain extender. The end cones are marked “Sterling”. It weighs 181.8 grams. We also offer free gift wrapping with each purchase! 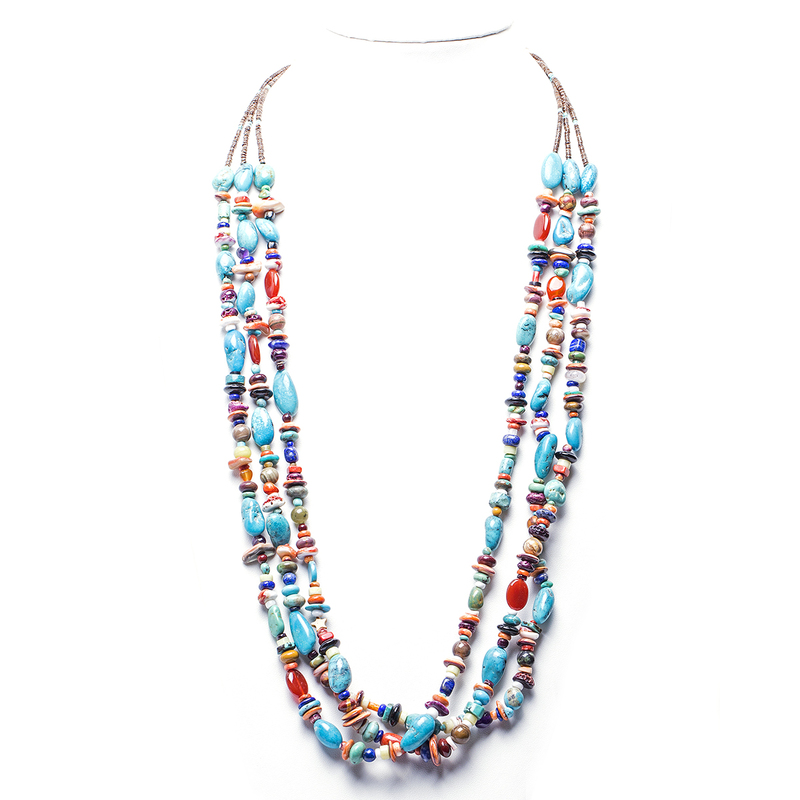 Behold an elegantly handcrafted Navajo Southwestern Style Necklace showing a splash of natural colors of the Southwest, featuring turquoise and warm tones!